It’s the most secure building on the planet. Inside, the U.S. Treasury stores about $300 billion worth of gold. Nothing has ever posed a threat. Not even Russia’s RDS-1 atomic bombs. They protect against a whole lot more than just weapons. 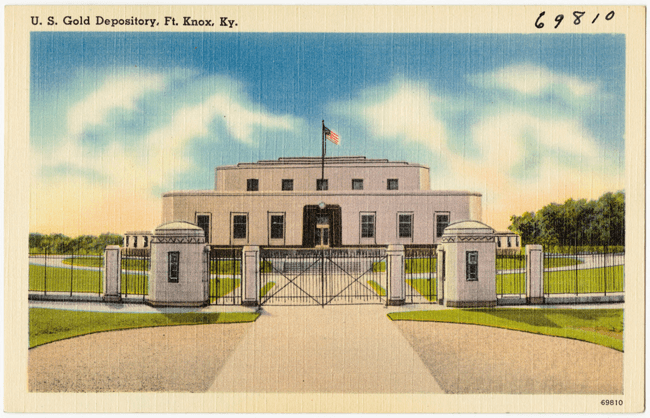 Practically NOTHING’s ever been able to breach Fort Knox. You are looking at one of the most important innovations in modern history. From both the U.S. Department of the Interior and the White House. And it could deploy any day now. This specific EWI device is around the size of a quarter in diameter. And it’s just about an inch or so tall. And create a flood of new millionaires in the process. In a few moments, you are going to see incredible footage of this technology in action. EWIs can use electromagnetics to harness one of the world’s rarest energy sources. NASA says they use it to see right through the world’s thickest obstacles. Appear like they were never even there. And while anything that can do that is impressive in itself. X-ray vision alone isn’t why EWIs are worth north of $2 trillion across some of the largest industries in the world. And I’m talking REALLY far. Over four times the distance around the Earth. It means they can operate around 99,000 miles without interference. Or four times further than the distance of Lockheed Martin’s GOE satellites from Earth’s surface. 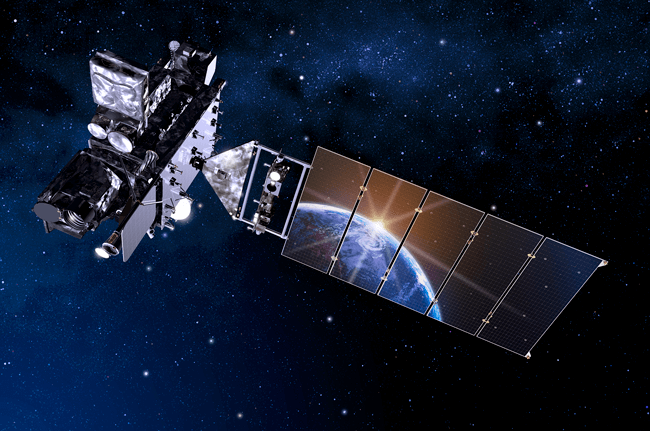 These are the same satellites that the U.S. paid Lockheed Martin $11 billion to build. By a device no larger than some Duracell batteries. It’s like having an MRI machine that can see 10 miles deep into the Earth’s crust. All while fitting in the palm of your hand. With this kind of power, there are millions of possibilities. For the U.S. Navy, it can be 100 times more accurate at spotting enemy submarines than the best military-grade sonar. 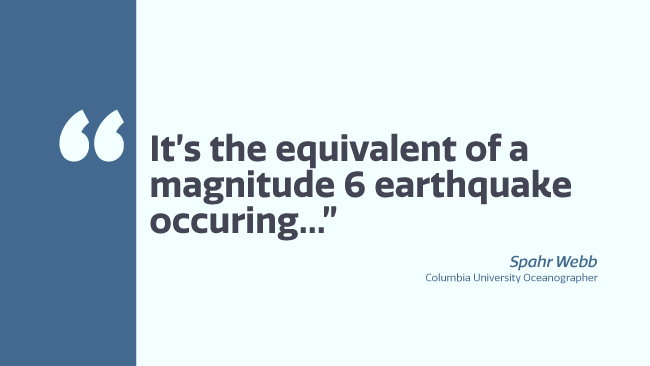 The United States Geological Survey could use one to detect volcanic eruptions in Krakatoa, Indonesia... two days before it even takes place. And Barrick, the $15 billion gold miner, could use one to find 92 times more gold in a single year… than has ever been found throughout all of history. All in all, EWI devices could be worth an immediate $3.9 trillion to the U.S. economy. With the potential to create over 2.7 million jobs. There is one application in particular that could make you a fortune in the coming months. The major oil companies believe it can uncover hidden deposits worth trillions of dollars. While cutting the exploration costs by an estimated 80%. And boosting potential profits by almost 500%. But it’s not just major oil companies that are going to come out ahead. 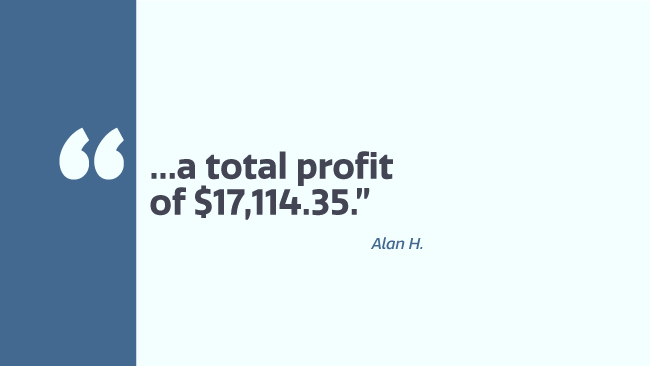 If you play your cards right, there could be major profits in this for you, too. Ahead, I’m going to show you how a modest $1,000 stake in this tiny firm at the heart of these EWIs could grow into a $557,560 jackpot. 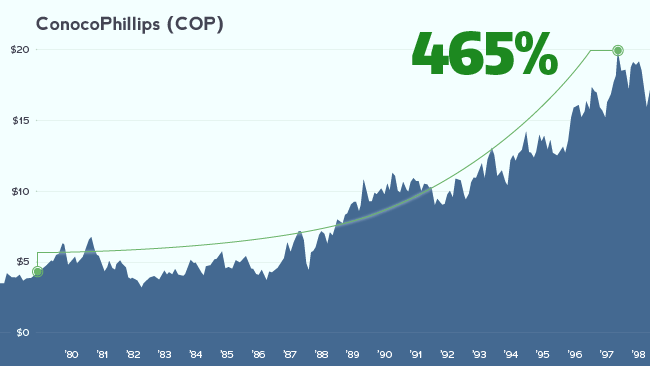 Because this tiny company has already turned the global $1.4 trillion energy industry on its ear. Existing technology had previously discovered nothing at this spot. But when EWI devices were put to work, something miraculous unfolded in real time, as geologists watched with amazement. This technology emitted a series of high-powered, infrasonic waves. They shot down 8,942 feet – nearly two miles below the surface. An estimate of up to TWO BILLION barrels of hidden oil. And it’s just a drop in the bucket. It’s been impossible to find with today’s standard technology. But it can easily be uncovered in seconds with EWI devices. And also generate trillions of dollars in value for the U.S. economy. So not surprisingly, the Bureau of Ocean Energy Management is drafting a proposed plan to greenlight the mass distribution of this technology. And according to federal documents I’ve gotten my hands on, it could go into effect as early as April 1. 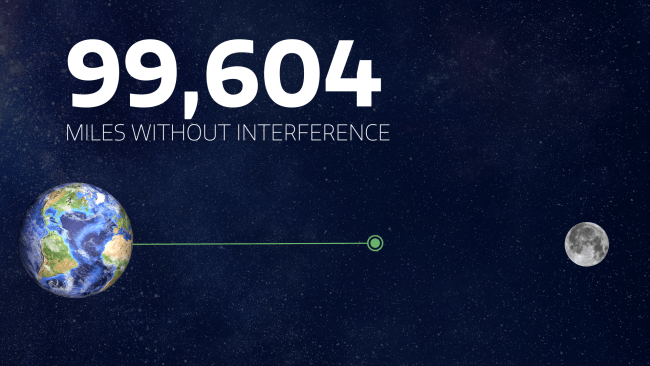 Almost immediately after, we could see over 7.1 million EWI devices shipped across the United States. Ahead, I’m going to open up one of these devices and show you the incredible components inside. I’m going to take you through each industry it could revolutionize. I’m going to examine what could be a government-mandated, nationwide rollout of this technology on April 1. And most importantly, I’m going to reveal the one tiny company that is perfectly positioned for an event of this magnitude. It has been awarded 107 patents for this technology. And could soon begin collecting check after check from some of the largest U.S. energy companies. With payments ranging up to $50 million per client just for the right to temporarily license this technology. Just to meet the overwhelming demand. So this is about as straightforward as it’s going to get. You have a chance to lock in a ground-floor opportunity in a very tiny company who has patented a critical technology. Its market cap is just $114 million. 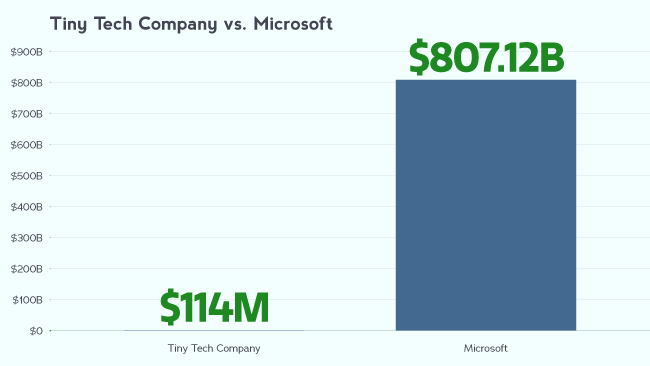 That’s 1/7,000th the size of Microsoft. Meaning it is certainly more speculative and carries more risk than blue-chip stocks. So while I always say never invest more than you can afford to lose… there’s no denying how big this opportunity is. 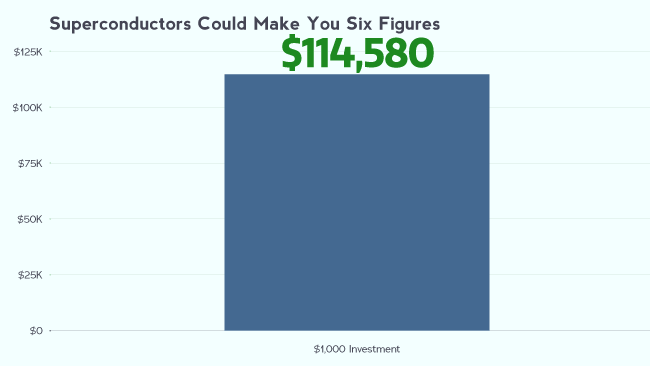 You really don’t have to invest all that much. And just a $2,000 investment could mean a chance at a million-dollar fortune. But here’s a pretty telling sign of things to come. The smart money is beginning to pour into this technology. 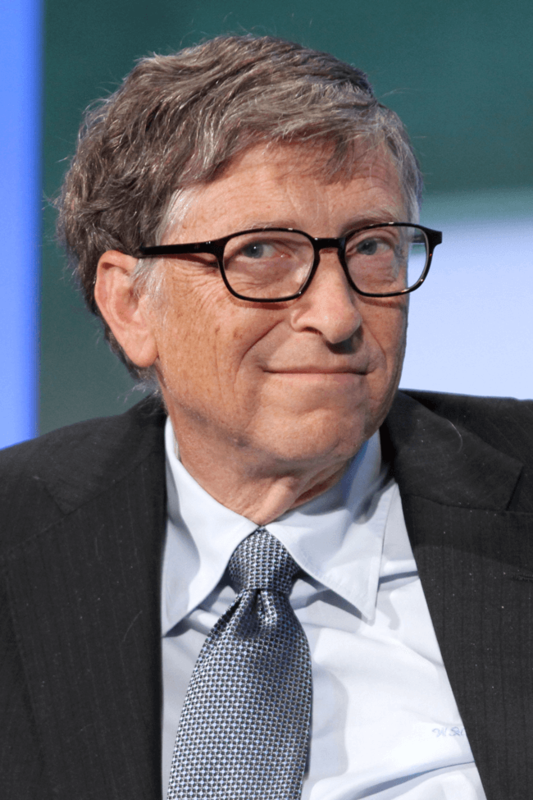 Bill Gates has personally invested $60 million into this. Hedge fund billionaire James Simons’s firm, Renaissance Technologies, has over $8 million riding on this stock. And over 18 multibillion-dollar institutions have backed them as well. So this technology is quickly catching the eyes of some of the deepest-pocketed investors in the world. It’s very possible they are anticipating a huge payday on April 1. Thanks to their EWI devices, this small firm could be rewarded with a $35 billion revenue stream. It’s hands down the BIGGEST tech opportunity I’ve ever seen. And let me tell you, I’ve seen a LOT. 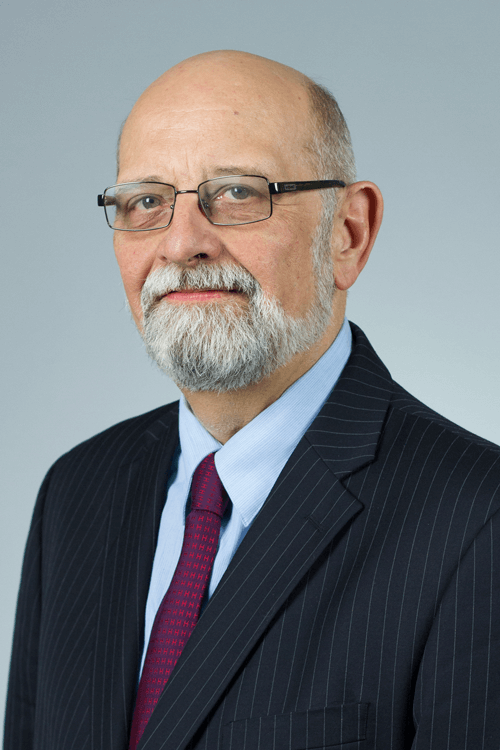 I serve as the Executive Chairman of the Energy Capital Research Group. And to say that I'm plugged into the energy sector would be an absolute understatement. I went back into counter-intelligence. My next assignment shipped me out to the Soviet Union. Serving under the cover of a global energy expert in the USSR. Keep in mind, this was during the worst energy crisis of all time. Quickly proving my worth as an international power connector. It wasn’t long until the most recognizable figures in the world came knocking at my door for private consulting. And multiple different U.S. departments including the Department of Defense, Department of Energy, and Department of State. I’ve made a LOT of contacts. And while I won’t tell you I know everyone. I’m the first guy they call when they need to get a deal done. Bid over $200 million just for exclusive rights to be amongst the first wave of corporations using these EWIs. I’ll explain the details of this meeting in a moment. You’ll see why this meeting is a clear indicator of a quick payout for this small company on April 1. So you can see firsthand what it can do. An EWI is so durable it can operate in extreme climates. Down to negative 40 degrees. It’s also waterproof AND shock resistant. So if you dropped one out of a helicopter, it would remain in perfect shape. And it would barely get a scratch. This level of durability is a MUST. Now this is NOTHING like the alternator in your car. Instead, it serves as the brain of an EWI device. You’ll find these inside military base transformers. Are the flux alternators inside MRI machines. These are the same mechanisms that decode magnetic fields. Conducting them into amazing images of your muscle tissue. This magnet is 4,615 times stronger than the Earth’s magnetic field. And this strength is precisely why corporations are willing to write blank checks for EWIs. But not your everyday pressure. They’re created by micro movements. Or an ant’s footsteps across your kitchen counter. 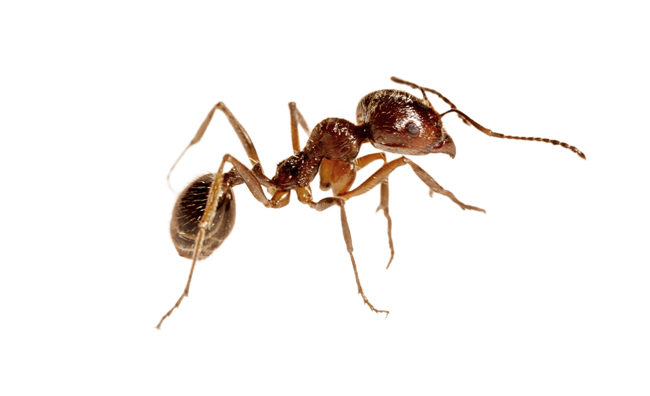 Would you ever expect an ant’s footsteps to make a peep? And it’s happening every day. 10,000 times LOWER than ultrasound. Or almost half the distance to the moon. 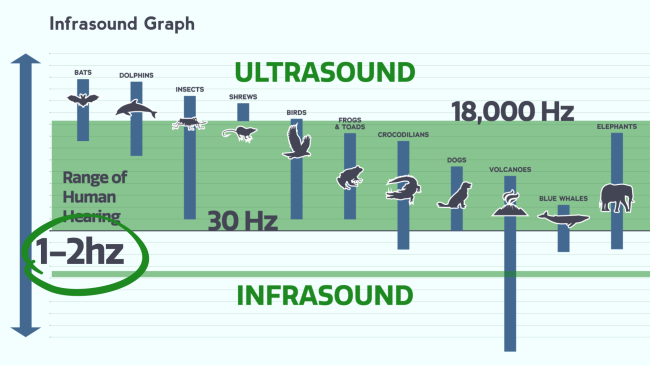 For this reason, infrasound could soon replace technologies like GPS and satellite. Both of which corporations like AT&T, Boeing, and EchoStar pay over $113 billion annually for. 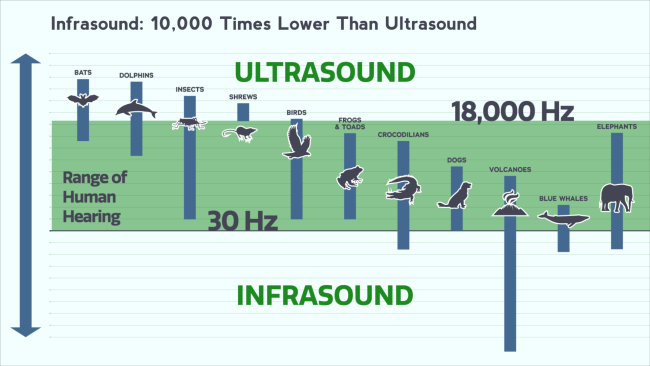 But luckily, that’s just one of the many aspects making infrasound so extraordinary. Infrasound will go right through it. Like a hot knife slicing through a stick of butter. 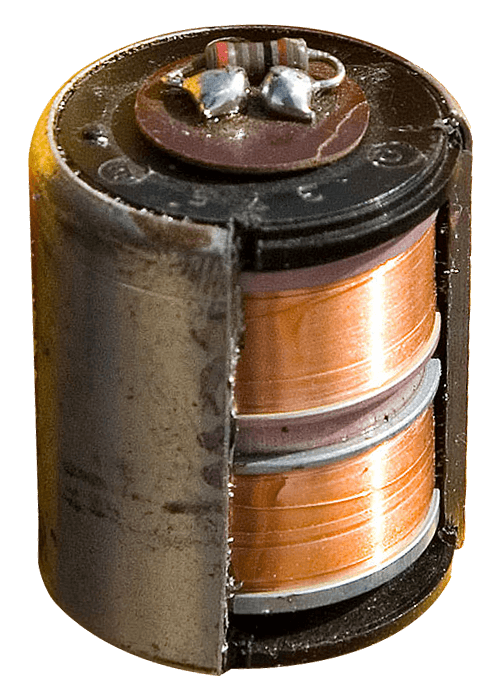 Infrasound cannot penetrate EWI electromagnets. Just to disrupt a MUCH more lucrative segment. Then coming back to funnel cash in by the truckload. 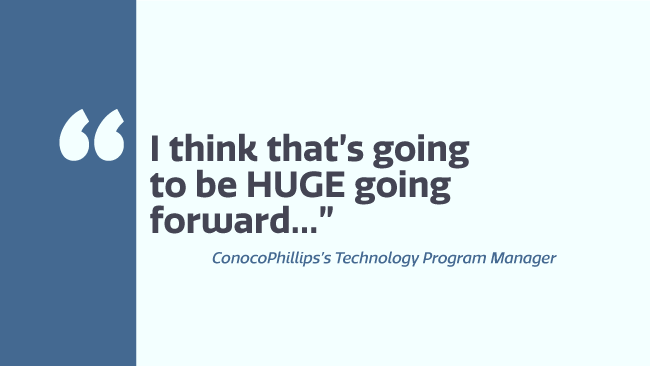 United States oil drillers are expected to spend $35 billion on this EWI technology. They should begin writing checks April 1. 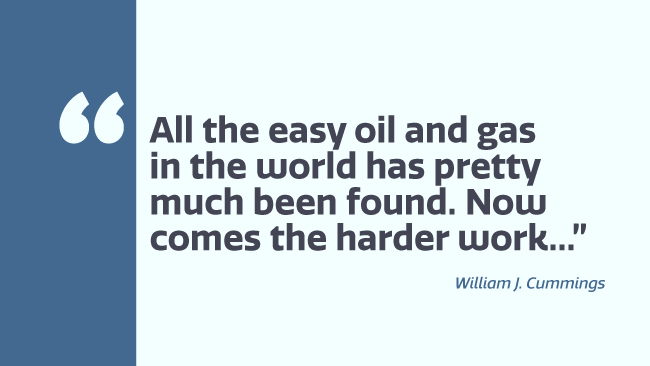 And they’ll probably do so regardless of which way the oil market goes. Why nearly every U.S. oil driller may be rushing to purchase them in lots of hundreds of thousands in the coming months. 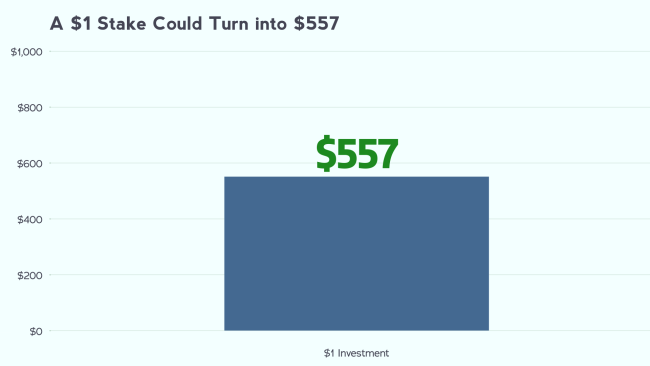 How you could turn every $1 you invest into over $500 if you play it right. Or every $2,000 into over $1 million. This is when you drill random hole after hole until you strike oil. Some drillers struck it rich at just 69 feet. 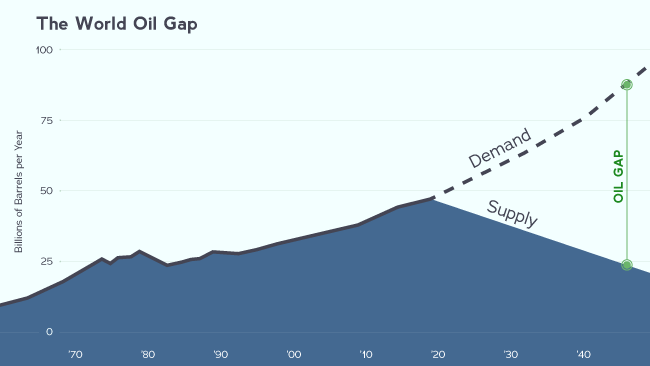 We actually hit our peak number of U.S. oil discoveries back in 1964. After that, the average well depth soared to 3,825 feet. And at this depth it’s VERY expensive to find oil. Leading the world’s top oil and gas firms to express serious concerns. A geophysicist for the Continental Oil Company invented 2D seismic imaging. These trucks with heavy thumpers would pummel the ground. 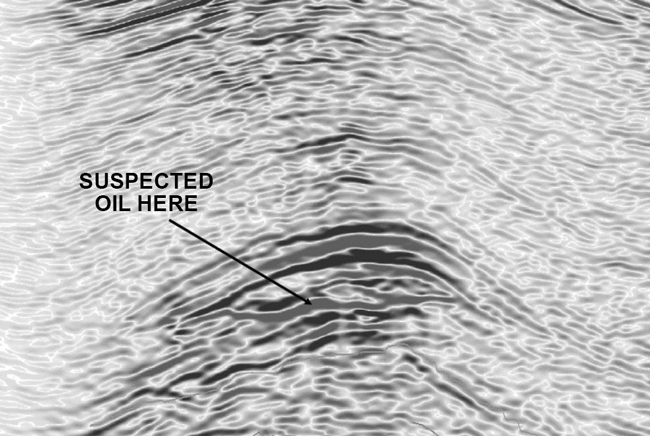 And the vibrations could create a 2D map of potential drilling sites. As you can see, it looks very confusing. It raised drilling success rates to about 50%. Even though a 50/50 chance is still a crapshoot, oil drillers LOVED it. The $150 billion conglomerate, DuPont, purchased the patents in a merger deal worth $7 billion. 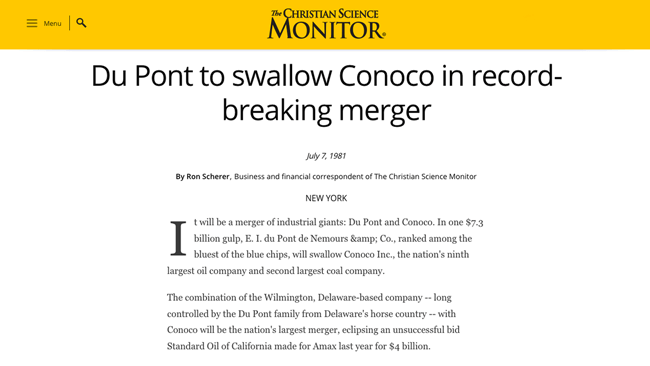 At the time it was the largest public merger ever. Adjusted for inflation, it is worth over $20 billion. And if you were an early investor, you would’ve been ecstatic. But following the big news, the stock ballooned up to $19.72. Capping off a 465% gain. That’s enough to give you nearly five times your money. This profit took place as the oil market PLUMMETED. 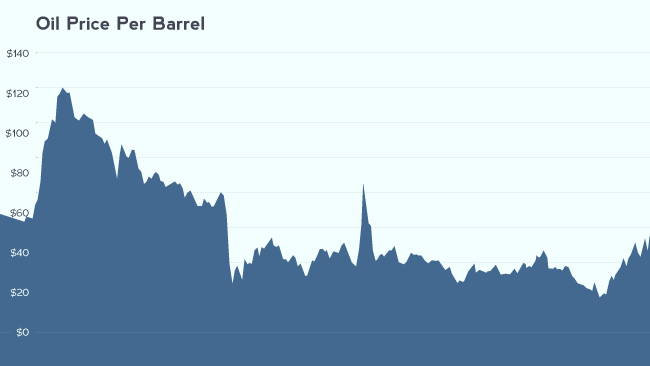 After factoring in inflation, oil prices face-planted from $122 down to less than $60 a barrel. This old technology was a hit. Because it fattened drillers’ profit margins. What do you expect to happen when the new EWIs roll out? They can drop expenses down to $15 a barrel! 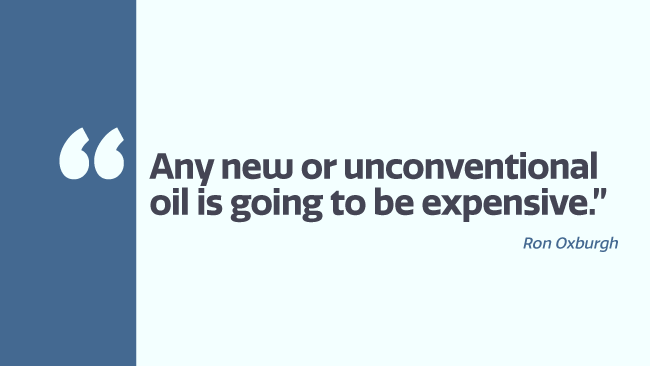 Yet find up to 10 times the oil. The oil market is no longer driven by spot prices. If oil prices are $50 a barrel. Would you rather sell barrels of oil that cost $45 to produce? After all, that’s seven times more profit per barrel! 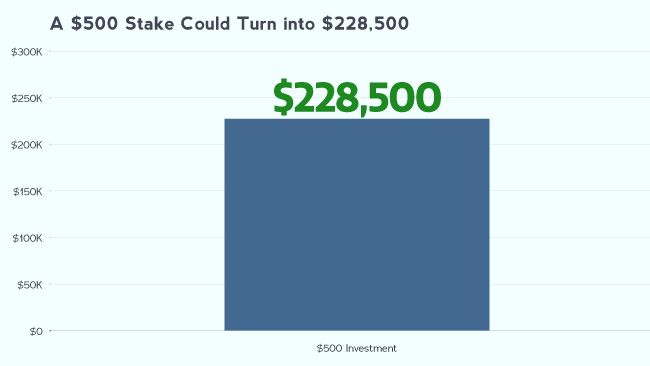 Which could mean an extra $218 billion in oil drillers’ pockets each year. Because regardless of what you may have heard on CNBC, we need A LOT of oil. 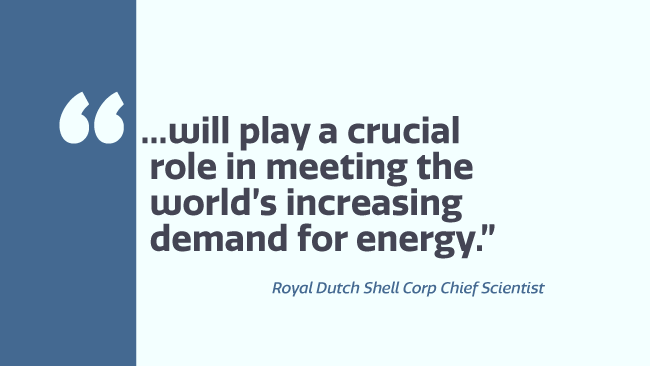 Reuters says oil demand will grow by NINE BILLION barrels per year. So you should be able to connect the dots. At least 7.1 million of these devices are being manufactured as we speak. Most historic oil discoveries of all time. And this $114 million market-cap company could be the secret weapon behind every last one of them. This tiny company’s EWI technology could lead to a 13-figure wealth surge. The dominoes have already tipped. An estimated TWO BILLION barrels. In 2017, this tiny company’s EWI devices were put to the test. And what quickly unfolded was simply mind-blowing. It all began when a major energy explorer contracted the EWI firm to deploy their technology to an experimental oil site. 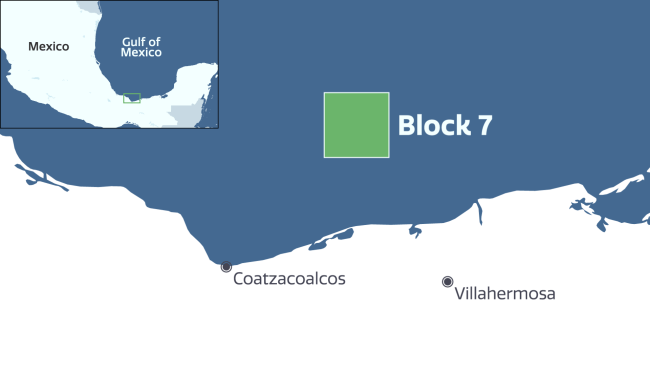 Block 7 was previously owned by the Mexican Government. 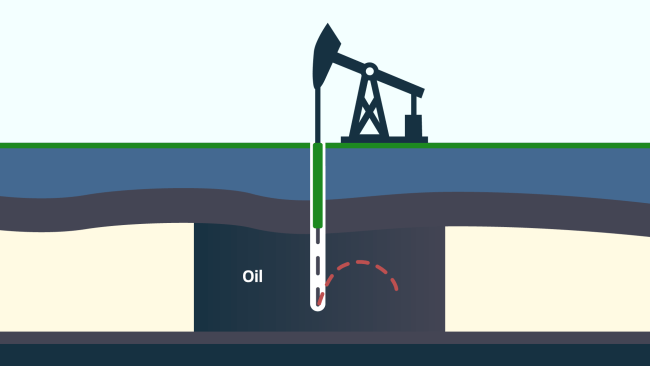 But after using the 2D seismic technology on the site, which was the industry standard, they couldn’t find any oil. So they started looking for someone to take this underwater real estate off their hands. For the energy explorer, this was an absolute bargain. Because they had an ace up their sleeve. They had been talking to our tiny EWI firm. And Block 7 was the perfect testing ground for EWI technology. They uncovered something that shocked every energy insider I know. After 40 years in this business, it’s hard to shock me. But that’s exactly what happened. Nearly 3,000 meters below the seafloor there was what geologists refer to as, a “pre-salt” cluster. It’s a very thick layer of salt hidden in the earth’s crust. The existing 2D mapping technology couldn’t penetrate it. Essentially, the previous owner of this site thought all they had here was a thick layer of useless salt. But when this energy explorer deployed an army of EWI devices, suddenly they witnessed what nobody else could see. 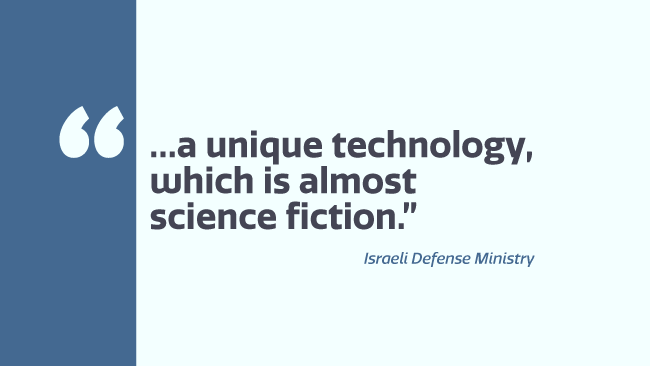 Remember, this technology can see through thick concrete walls, mountains, and steel. So this pre-salt cluster was child’s play. This technology saw right through the salt bed like an open window pane. It created high-resolution 3D images of this underwater region. And most importantly, it uncovered up to TWO BILLION barrels of hidden oil. Suddenly, this energy explorer was sitting on a deposit that could be worth up to $200 billion. And they owe it all to this tech firm’s EWI devices. Their technology passed with flying colors. 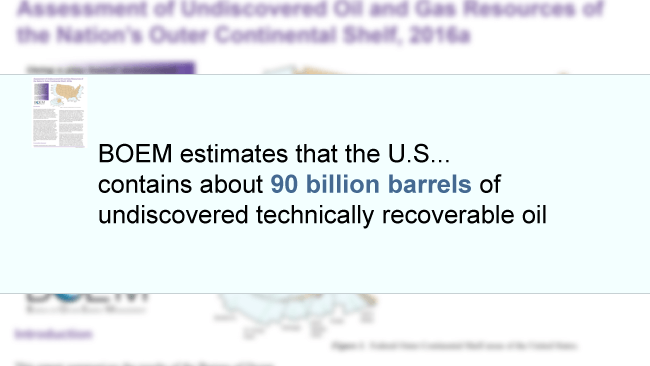 And this estimated two-billion-barrel discovery is just a small piece of the pie. The Federal Government estimates we have over 90 billion barrels of oil waiting to be found. And now that the technology is proven, EWI devices could be harnessed to immediately pinpoint every last drop of it. with this small tech firm. They’re deploying EWI devices to a project in Africa. And other international companies are following Exxon’s lead. Including some of the largest in the world. Like the $326 billion Chinese National Petroleum Corporation. They’ve created a business venture to use EWIs on land. And PEMEX, the $73 billion national oil company of Mexico. They want to use this tech firm’s EWI devices to hunt for oil in the southern section of the gulf. 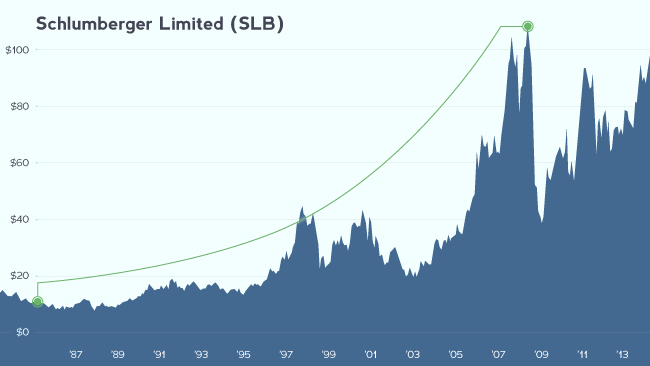 Schlumberger is doing the same. At $57 billion, they’re the world’s largest oilfield services firm. 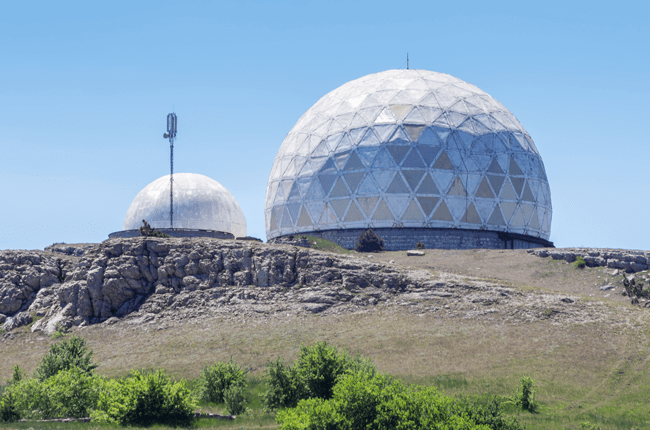 They turned to this small company to analyze an 80,000-square-kilometer site. There’s another project they’re working on in Ghana through 2019. There’s also this 100,000-square-kilometer site off the shore of Brazil. And this one in the North Sea. 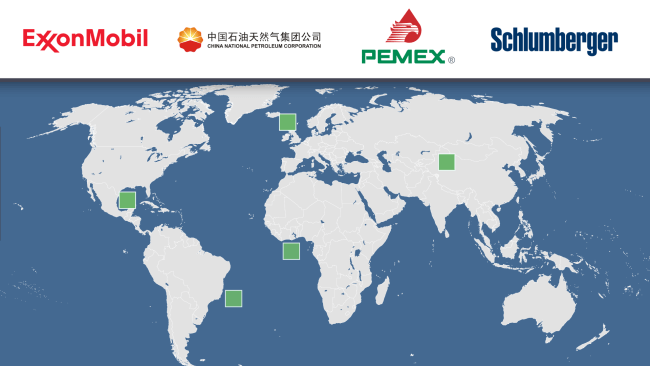 Collectively, these overseas operations could find at least five billion barrels. And add hundreds of millions to this small company’s bottom line. These projects alone could likely double or triple their value. So far, these operations are all taking place quietly, overseas. is the largest segment yet. And with widespread deployment of their devices, this tiny EWI company could be on the verge of experiencing a revenue surge of 55,756%! And that very event appears to be at our doorstep. 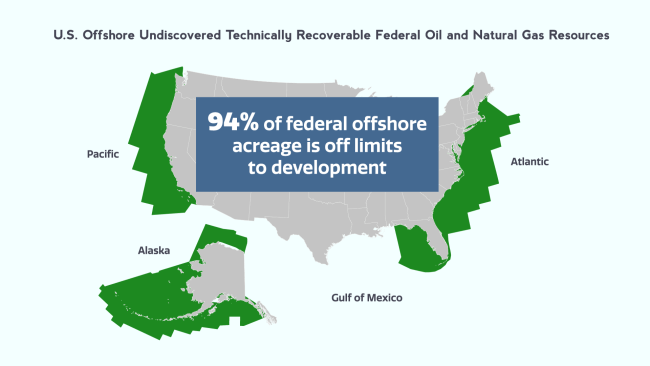 As a critical piece of his plan for American energy independence, President Trump has insisted we open 94% of the offshore Outer Continental Shelf for energy exploration. Could be open for exploration. Now, if you’re like most Americans and you live in a coastal state, you may have concerns about offshore drilling in your area. This technology will ease your concerns. The International Association of Geophysical Contractors has determined EWI devices leave the smallest possible environmental footprint. With some geophysical experts declaring it leaves no environmental footprint whatsoever. Which is why politicians from both sides of the aisle have come out to publicly support this technology. And what was revealed to me during that meeting in New Orleans suggests now is the time to invest in this small firm. 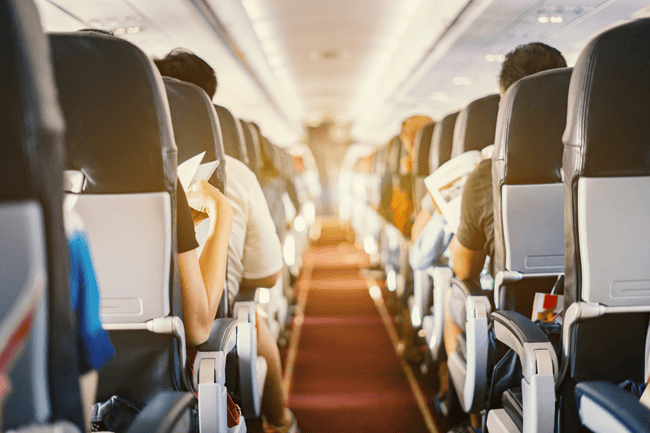 EWI devices are expected to receive federal approval to analyze 269 MILLION acres of unexplored underwater terrain on the Outer Continental Shelf! The first phase could start April 1. That’s when we could see the government open this coastal property. It spans 420,312 square miles. That’s about the size of Texas and California combined. 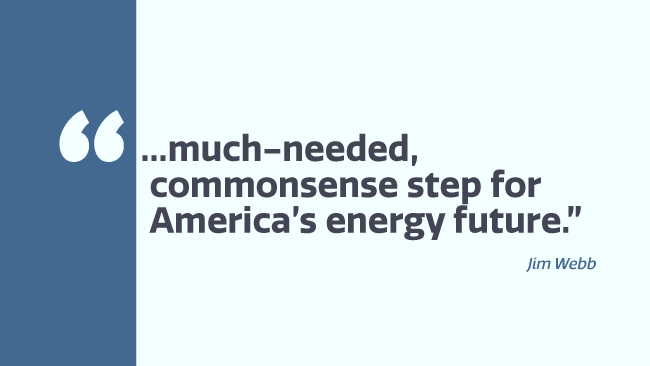 It’s a historic moment for U.S. energy. And it could make early investors in this EWI technology filthy rich. 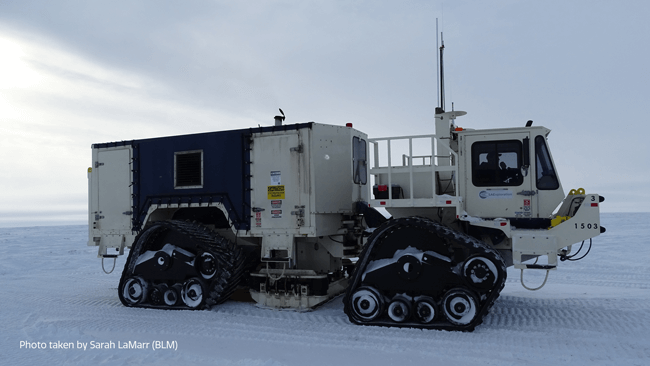 Geophysical imaging is a requirement. Only ONE would strike oil. They’re looking at $1 billion to strike even a drop of oil . It’s proven to create detailed 3D images as deep as 10 miles below the seafloor. While leaving a minimal environmental footprint in the process. Very soon, every energy explorer on the planet could turn to this small tech firm, because they’ll have no choice. 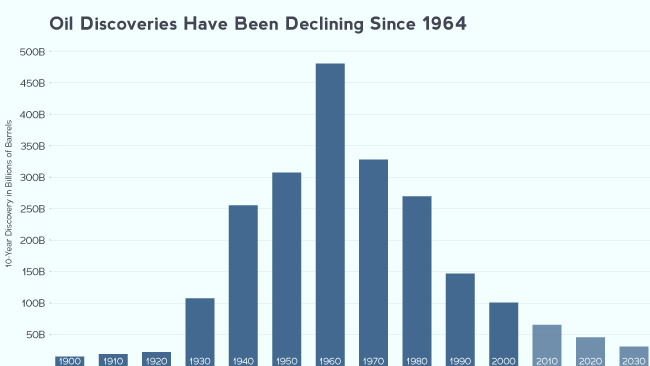 In the past, major energy tech breakthroughs have rewarded investors with unbelievable windfalls. You may not know this. Only about 20% of that oil was actually recoverable. It was kind of like trying to finish the end of a fountain soda with a straw. 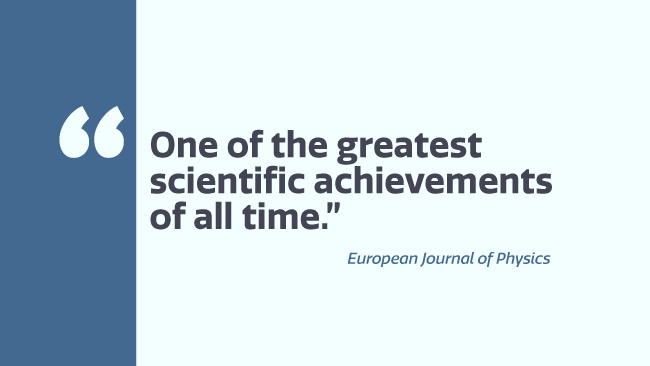 So Flowserve pioneered a technology known as Enhanced Oil Recovery. They used natural pressure to force oil UP the production well. It lifted recovery rates from 20% up to 60%. Before this breakthrough, Flowserve shares traded at just $1.39. 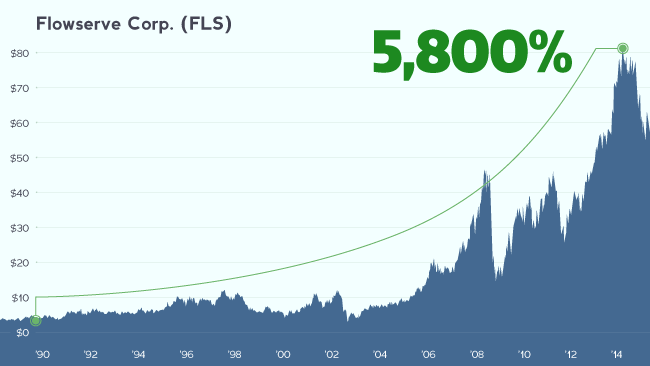 Landing in nearly every oilfield in America, their stock shot up to $81. That’s a rare and extraordinary 5,800% gain. It could have turned a $1,000 stake into $58,000. And just a $2,000 stake into over a $160,000. Normally you wouldn’t encounter a gain like that. 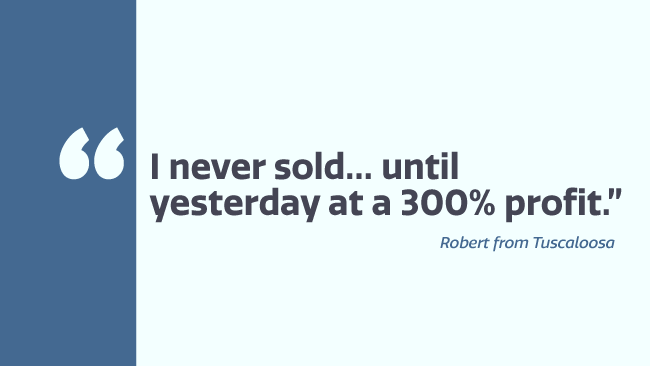 Unless you were willing to hold a stock for two or three decades. It’s almost ALWAYS an indicator of a massive windfall on the horizon. Another example is Core Laboratories N.V. This reservoir analysis company developed Ultrascan. 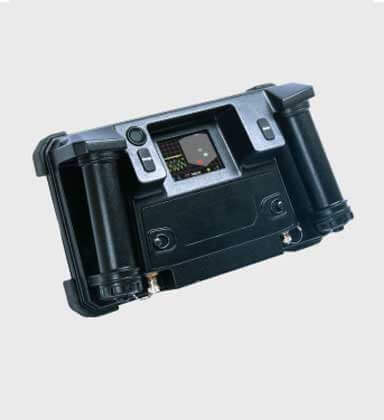 It’s a near-field monitoring technology for new oil reservoirs. It’s become an industry staple in five different continents. Prior to this technology, the company was worth only $602 million. But on the heels of Ultrascan, that went up 15-fold. And it’s not rocket science either. BEFORE widespread deployment of their technology, you could’ve multiplied your investment by an exceptional 15-fold. 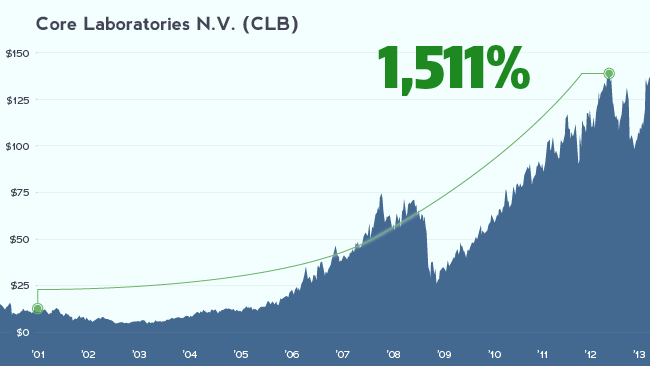 Energy exploration technology stocks can be VERY lucrative investments. 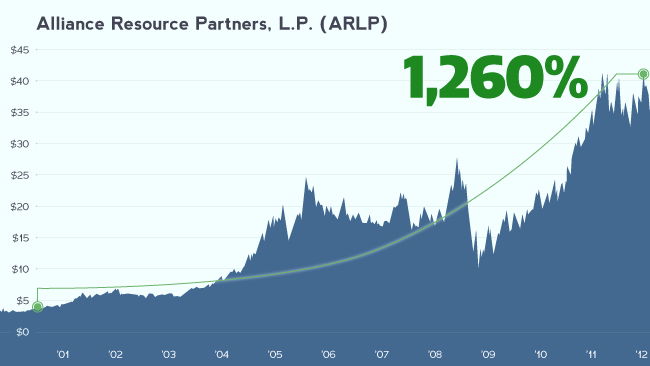 Even an energy tech company worth $1.9 billion can take off like a rocket ship. That was the case with Tenaris S.A. In 2003, Tenaris unveiled its Dopeless technology. These were specially coated well pipes for oil drillers. Or re-apply, their own lubricant to their rigs. On a massive oil rig with miles’ worth of pipe, this can account for 25% of your rig hours. 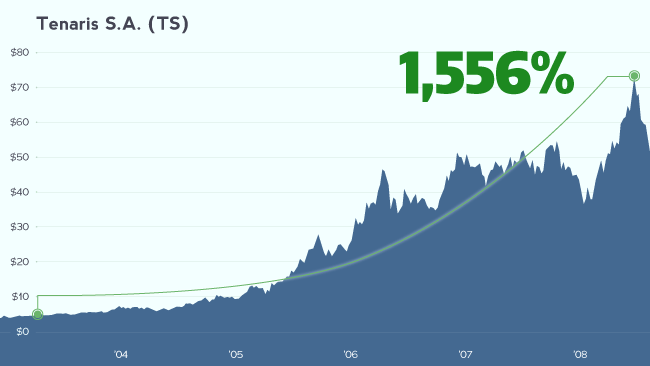 When it debuted, Tenaris’s market cap stood at $1.9 billion. It propelled Tenaris’s market cap all the way up to $31.7 billion. That’s a rare and extraordinary 1,556% gain. 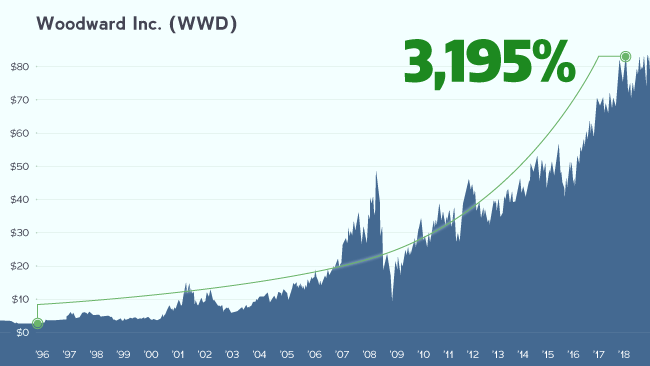 On a company that was already HUGE! Armed with their patented technology, our EWI firm could blow them all away. That’s because at a $114 million market cap, this company is absolutely tiny. 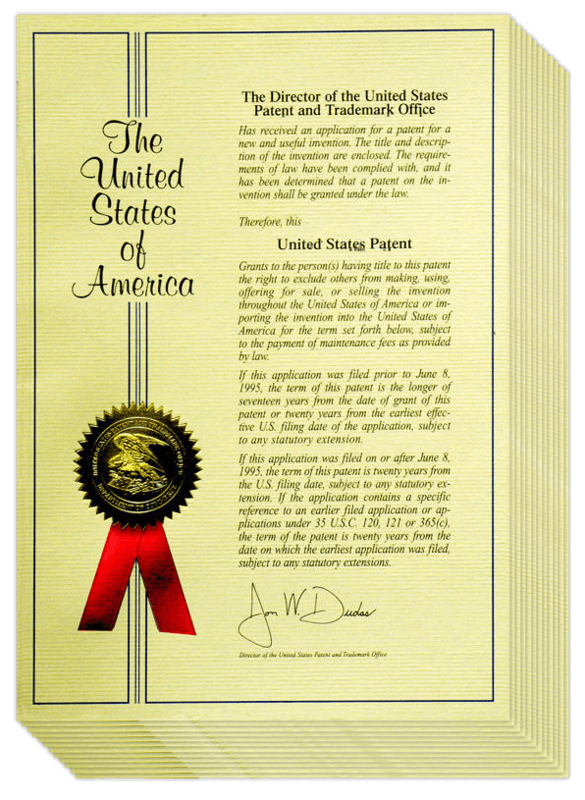 They have been awarded 107 patents for their EWI devices. So they have built an impressive moat around their technology that will keep competitors out. This grants them a near monopoly on this market. They can charge energy explorers $85,000 per mile they analyze, and it would still be a bargain. The total profit potential for this firm is $35 BILLION. This revenue stream could launch their share price up 557 times. Ground-floor investors who strike now have the opportunity to turn a $1,000 stake into a $557,000 windfall. This opportunity could begin in a matter of days. But this most certainly will not be the case for long. The window on this once-in-a-lifetime investment opportunity is extremely limited. I expect the federal government will put their bold plan into effect no later than April 1. To prepare for this, the company is currently manufacturing one EWI device every four seconds. Shortly after April 1, this small stock could explode. 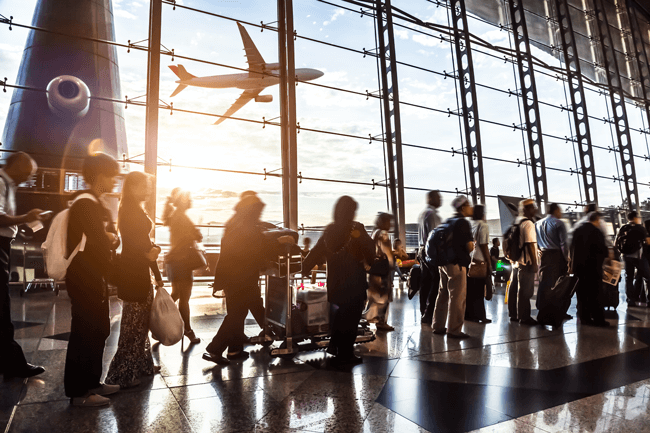 So you need to lock in your ground-floor opportunity now, before it takes off. This technology could create at LEAST $9 billion in new wealth in the short term. And it could keep climbing and climbing. Because everything I’ve told you so far is ONLY about the oil business. EWIs can instantly transform three more industries, earning another $20 billion. 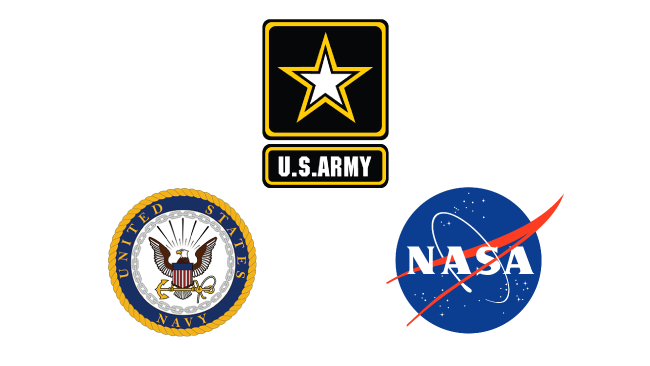 In fact, they’re already being adopted all across the defense and aerospace industry. 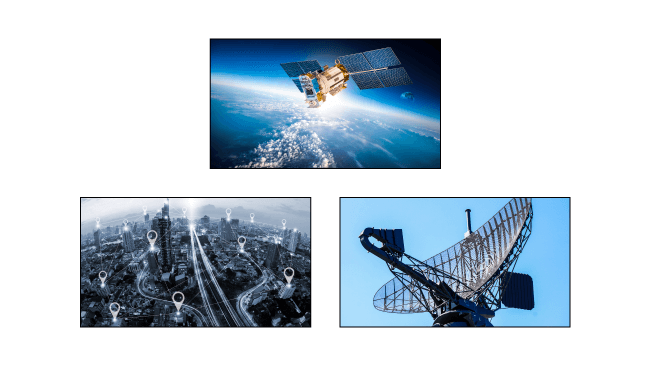 NASA has eyed them as a target for a vast range of applications. Including the detection of helicopters, movement of enemy troops, and other activity on opposite sides of mountains and hills. As well as detection of enemies inside buildings. Lockheed Martin currently spends $11 billion to build radars that can’t even come close to this. And they can all be completely replaced by EWIs. But EWIs can replace some other existing technologies as well. EWIs could save 610,000 lives. According to Qamar Shams of the Kennedy Space Center, the heart beats at an infrasonic frequency. That means EWI devices could serve as a sort of infrasonic stethoscope to regulate blood circulation. It would be much quicker than conventional heart and lung screening like echocardiography, CT scans, and other diagnostic tools. But, it could help diagnose heart and lung cancers just as effectively. Every year 610,000 U.S. citizens die from these diseases. Shams estimates that these devices could capture as much as 85% of this cardiovascular screening market. Which would be a billion-dollar opportunity in itself. That alone could grow this company 10-fold. But there’s one more application for these devices that I’m very excited to tell you about. 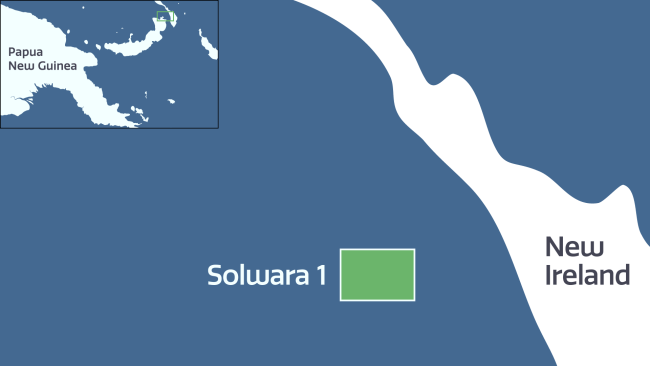 EWI can find deep-sea gold mines. It’s a breakthrough that’s taken over 40 years. They spout from hydrothermal vents deep beneath the seafloor. And they’re believed to contain over 69 billion pounds of gold. It’s enough gold to give every living person over seven pounds for themselves. Starting at a small site off the coast of Papua New Guinea. A source of mine has obtained documents stating EWIs will be used to find gold. 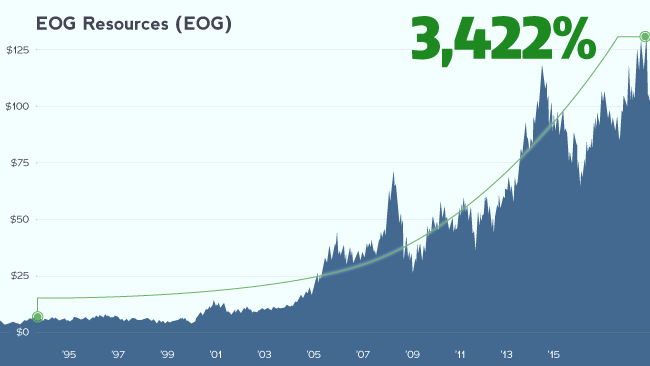 EWIs could become the industry staple in the $8.4 billion gold exploration industry. The first round of million-dollar EWI investors could be minted in the energy business. Every year I attend an exclusive energy summit at Windsor Castle. It’s funded by world governments and organizations like NATO, BP, and Shell. The disruptive future of energy. EWI devices are the future of global energy supply. And Chevron reps say this will allow them to see beneath the earth more clearly than ever before. When you get a nod from one oil major, it’s big. For a MASSIVE potential upside. You don’t need to invest anything you wouldn’t be comfortable losing. Or even as small as a $100 stake could buy you some serious chips at the table. But that’s only the case as of right now. It’s only a matter of time before this new plan could go into effect. This tiny company could commence a 557-fold tear. Heck, just minutes late could have you missing the boat entirely. I’m bringing the boat to YOU. I just finished drafting the EWI Ground-Floor Investor’s Package. I want to get this into your hands right away. I’m including strict buy-up-to and target-price recommendations. All of which I’ve laid out into an easy-to-follow guide. Plus, you’ll get months’ worth of my research. And cost TENS of thousands of dollars to compile. Just by quickly reviewing this Investor’s Package, you could position yourself perfectly for a 55,700% revenue surge. Just a $2,000 stake could mint you a millionaire. So you do NOT want to miss this. And I hate to say it. I simply CANNOT send this Investor’s Package to anyone and everyone. 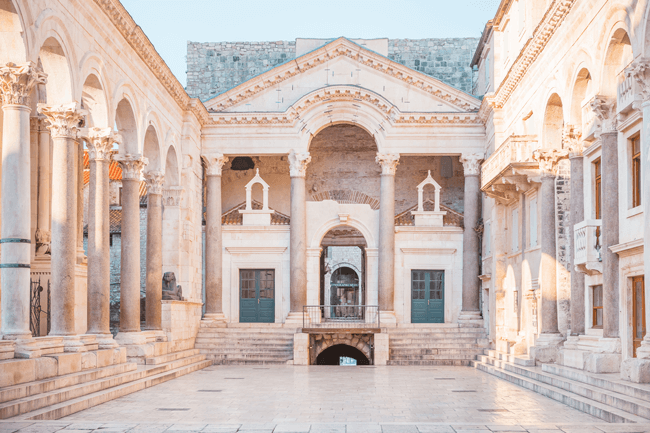 And because I have no control over how much my readers will invest in each opportunity – if they decide to invest at all – I have to keep the ranks very small. So I’ve narrowed down a list of readers. I’ve hand-selected you as one of just a few recipients of this Investor’s Package. I’m ready to send it to you. There is something I should make clear. I have a single requirement for you. And I’ll go through that in detail. But first I should give you some context. When I first got started in this business in the 1970s, I was on the frontlines of a global energy crisis. 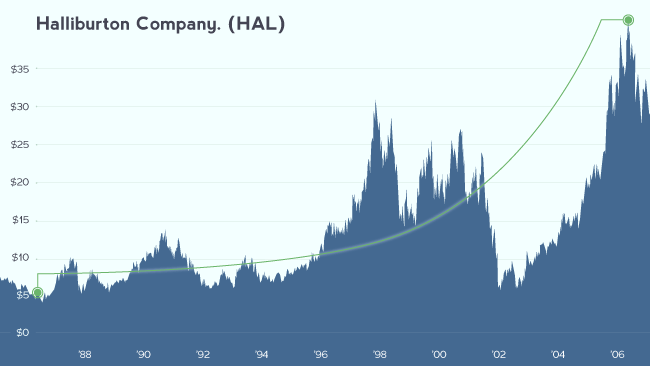 Volatility was at all-time highs. And the media and the good ol’ Wall Street commodities traders were like broken records. That was their excuse for everything. the Middle East, and the Baltics. Sometimes boarding jets on just hours’ notice. Without even packing a bag. Because when I landed, I had one goal. Then get on to the next one. The handshakes sealing these deals are the REAL catalysts driving the market. It is NOT the smoke and mirrors you hear in the news. The media boneheads just try to make sense of what happens behind the scenes. The real money is created by these handshakes. A move that helped his country amass a $320 billion fortune. When I flew to the Baltic Coast to help Pawel Olechnowicz, CEO of Lotos Oil. We toured his refinery in Gdansk, where I advised him on a deal to process roughly 80% more oil. Or the time EOG Resources CEO, Mark Papa told me his company was preparing a large push into international markets. 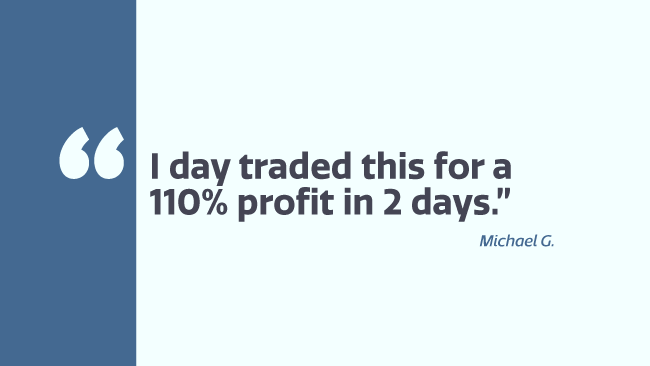 Days later, it began a rare and extraordinary 3,422% gain. Meaning you could have freely traded on ANY of it. It all probably would’ve slipped right through your fingers. Because this is the kind of public information that you NEED to be in the room to hear. An invitation to join the most strictly limited group of market entrepreneurs I’ve ever assembled. 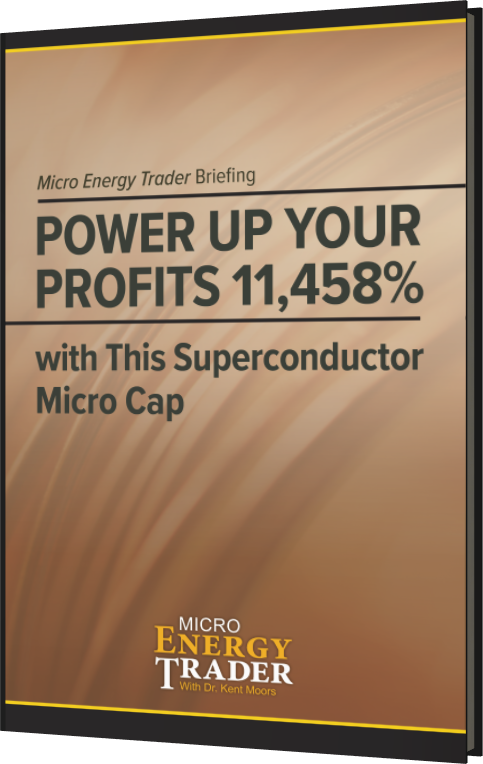 It’s called Micro Energy Trader. And there’s only one way to describe it. Sitting in on some of the most important meetings in the energy sector. Or standing aside millionaire CEOs on an offshore oil rig. Yet incredibly easy-to-follow action plans. 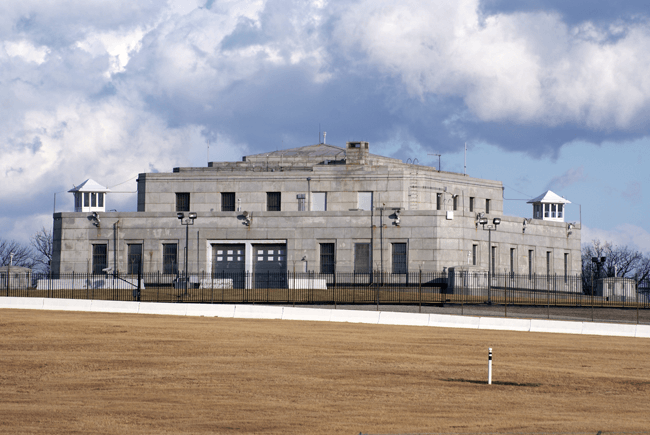 Or Woodward Inc… just to name a few. Or try to connect the dots yourself. Real-time guidance that I’ve EVER been able to offer. will arrive on my desk. That’s why I created my Micro Energy Trader Alert System. I’m always on the clock. The second I get information, I quickly draft an email with all of my instructions and recommendations. No matter what it is, I instantly send it to your inbox. And there may be times where you don’t check your email. And I can text you from anywhere. You will know the second something comes up. When you get these, you should consider moving on them VERY quickly. Those are real chances I gave my members to double, triple, and even make nearly five times their money in at least one instance. I’ve hand-picked some of the RAREST opportunities the market has to offer. In September, my sources alerted me of TREMENDOUS volatility on a British energy fund. I found a one-of-a-kind trade opportunity to profit from it. But luckily, my readers aren’t just anyone…. I relayed them an urgent alert. And just three months later, they could’ve bagged a rare and extraordinary 1,100% profit. That’s 11 times your starting capital. 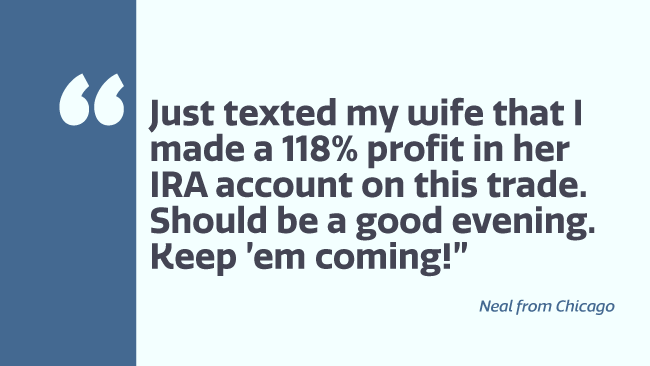 Most buy-and-hold investors will never see a gain like that. Right out of the water. But it’s more than just BIG gains. If my past recommendations are any indication, that’s why some of these opportunities could double your money every other day. I get messages like this from my members all the time. I love the praise, but it’s nothing. I’m used to it. And the ability to make fast, and consistent gains on little opportunities is something you should get used to. Here’s what I’m going to send you immediately. 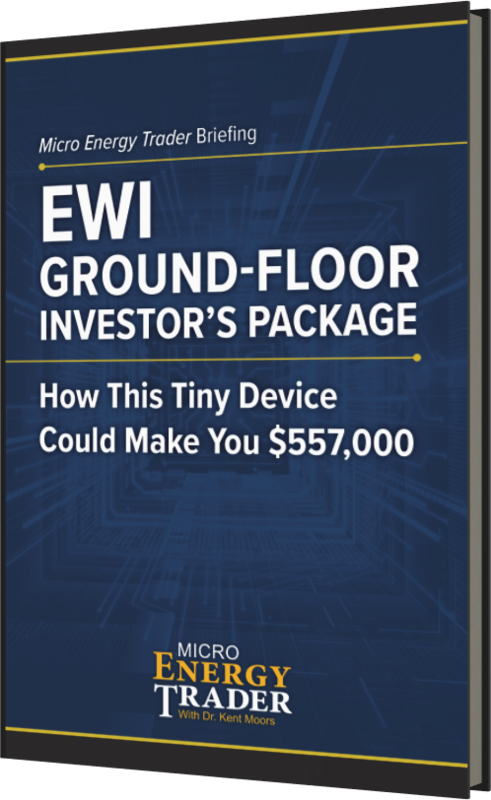 First you’ll receive the EWI Ground-Floor Investor’s Package in your email inbox. This will tell you everything you need to know about these EWI devices. This is the most groundbreaking technology I’ve ever seen. So I’m going to cover every base for you with no stone unturned. And tons of other noteworthy institutions have ponied up over $53 million. And you can be right there with them to lock in a ground-floor opportunity. 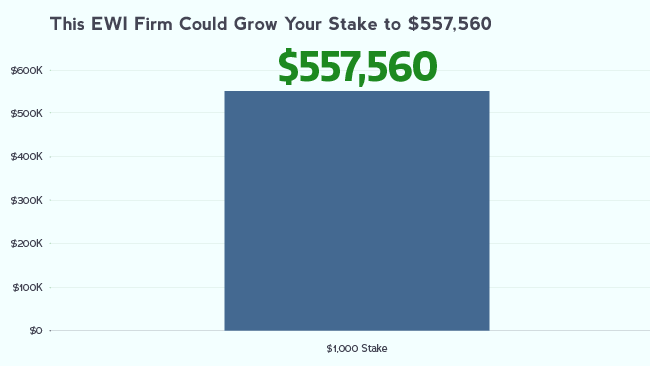 With a 55,700% revenue surge I’m expecting, even a small stake of $2,000 could turn you into a millionaire. $5,000 could grant you over $2.5 million. My sources tell me April 1, could be the day. The EWI Ground-Floor Investor’s Package should be read and, once you decide if the opportunity is right for you , acted on immediately. I’m going to grant you full access to my exclusive Micro Energy Portfolio. I do not share these opportunities with anyone else. All of which I know to be in line for potential life-changing gains. Each of these tiny companies could fatten your pockets. And I’m going to send you detailed briefs on each one. For example, I’ll tell you about a tiny government contractor. It’s worth just $82 million. But hidden in its balance sheet is something granting it infinite leverage over a $7 trillion industry. 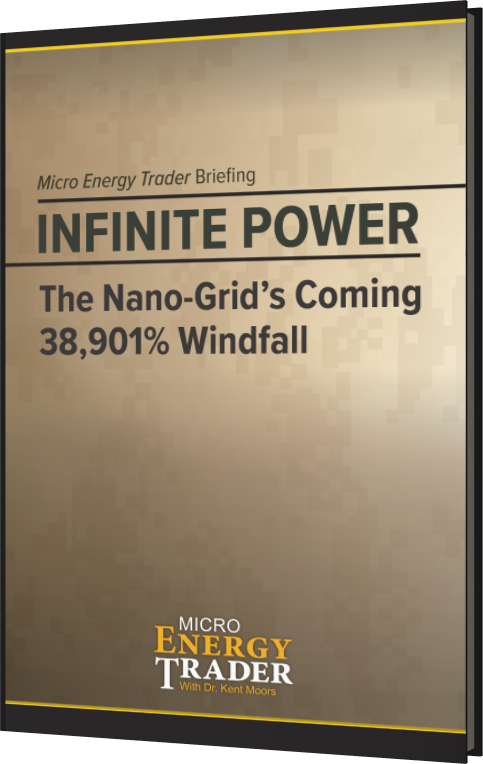 It’s called the “Infinite Power” Nano-Grid. It’s going to allow our army bases to tap into local energy streams. This way, our bases are protected from enemies around the world. This could not only make billions of dollars. 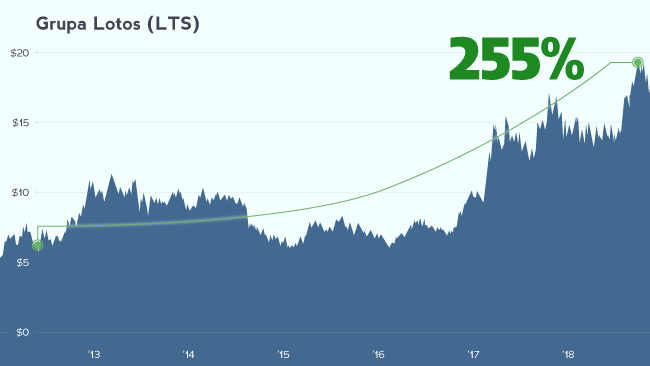 When news of their historic accomplishment goes mainstream, investors who understand the implications will immediately scramble to buy every share of this company’s stock they can get their hands on. 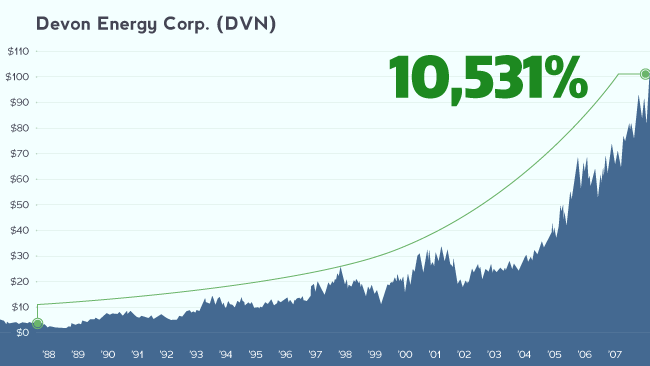 This tiny firm could deliver a small group of investors a historic 55,756% revenue surge. That’s the equivalent of turning every small stake into over a million dollars. There’s one more small company you should know about right away. This Boston-based component manufacturer has a market cap of just $269 million. This micro-cap company has just developed a scientific breakthrough known as a superconductor. Allowing for instant, lossless transfers of up to 10 times the energy of conventional power grids. This technology is supported by researchers at the University of Cambridge and Boeing. 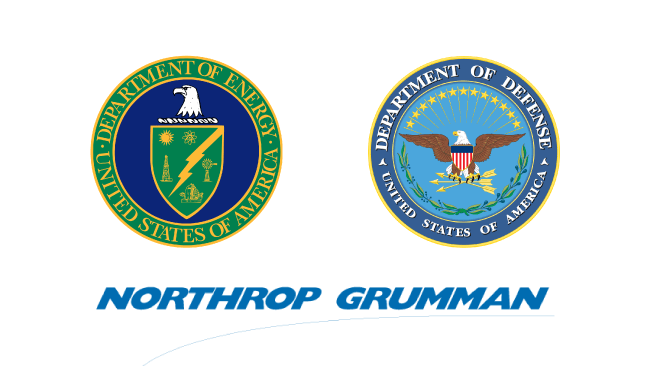 They’re installing millions of dollars’ worth of superconductors in U.S. Navy fleets for internal protection systems. So at this point, it’s just a matter of time. When it’s all said and done, this company projects revenues between $5 billion and $6 billion annually from superconductor sales in North America, Europe, and Asia. I’m going to send detailed information on each one of them to you over next three days. And after that, I’m going to continue to give you one or two big opportunities like this every week. Maybe even make 10 times your money. 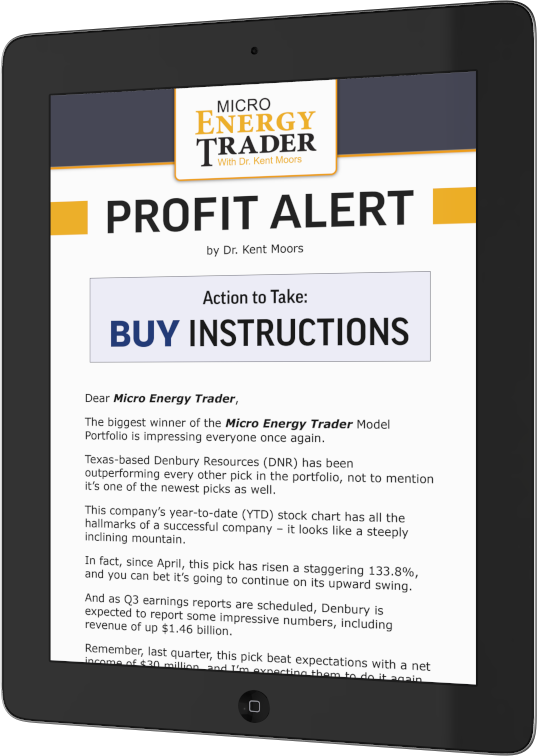 All you need to do now is accept your Micro Energy Trader invitation. I’ll have your EWI Ground-Floor Investor’s Package delivered to your inbox shortly after you join. 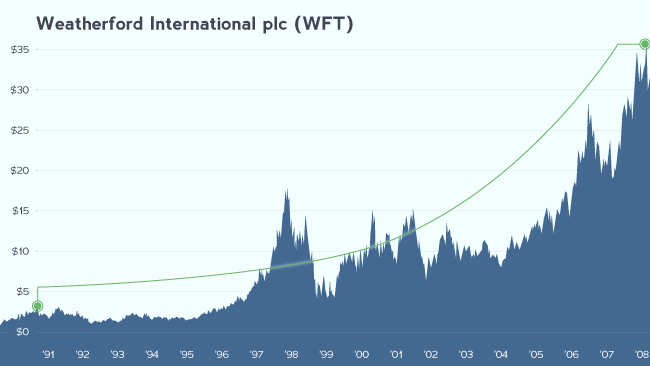 Remember this tiny company was just responsible for one of the largest oil discoveries of its kind. It’s already entered into contracts with some of the world’s largest oil companies. And they’re currently making one EWI device every four seconds just to meet demand. All the pieces are in place for this to be the greatest technology story of the century. Like I said, this company is really small, so I need to limit access to this information. 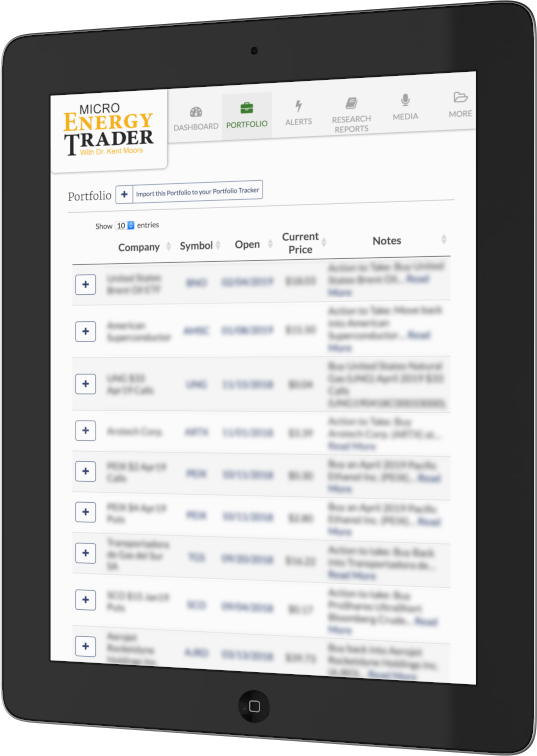 In addition, Micro Energy Trader is a tight-knit trading research service. With this level of service, I can only allow 100 new members today. Once we hit capacity, you may never see this offer again. Now, this $1,500 will be your money, so you can do whatever you want with it. Buy your grandkids some nice birthday gifts. I will leave that decision to you. Typically, people have paid as much as $5,000 for my Micro Energy Trader research and recommendations. I’d say that’s more than a fair price. And I can tell you. But remember this isn’t just one opportunity. With two more recommendations issued immediately, each of which could turn every $1,000 invested into upward of $20,000. And with April 1 quickly approaching, it could happen faster than ever. 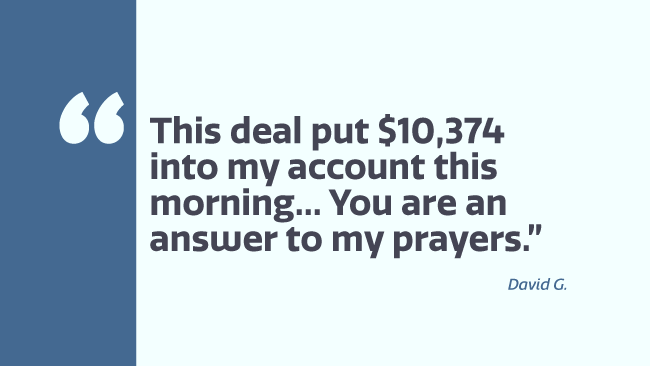 By crediting your account with $1,500. That’d give you some extra firepower to load up on 187 shares of this EWI company. This alone could grant you a six-figure fortune. But I will leave that decision for you. 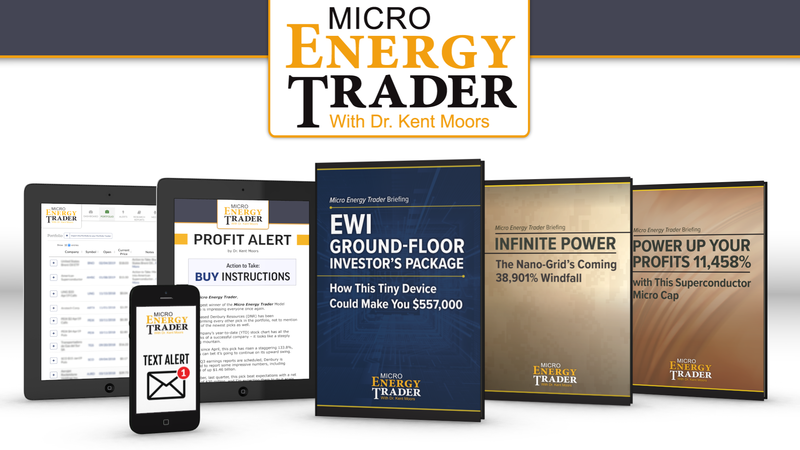 Because you’ll be getting a full 12-month membership to Micro Energy Trader for only $3,500. So you’ll be getting one recommendation like this every week. It’s the absolute lowest price I’ve ever offered. You may never see it at this price again. Chances are availability won’t last long. And because these stocks are so small, I need to make sure we’re clear on something. I simply cannot offer you a trial period on this membership. Because if I was constantly letting people out of this group after reading the confidential EWI Investor’s Package, it wouldn’t be fair to those who stay in. I’ll make you a 10-times-your-money guarantee. Or MORE… in the next 12 months… just give my team a call at the end of your subscription. Then I will gladly refund your entire membership fee of $3,500. That my guarantee stands EVEN IF you double or triple your money. All the risk is on me to perform. Plus, you’ll begin receiving all of my recommendations immediately. And you will be transferred to a secure membership application page where you can enter your information. Please double-check that you enter your email address correctly. All of which will help you begin investing in these opportunities immediately. Just dial 855-509-6600 (or 443-353-4770 for international calls) and mention the Priority Code: EMETV3GE. And potentially even more lucrative relationship together.